Iconography is undergoing a revival in twenty-first-century American Catholicism. 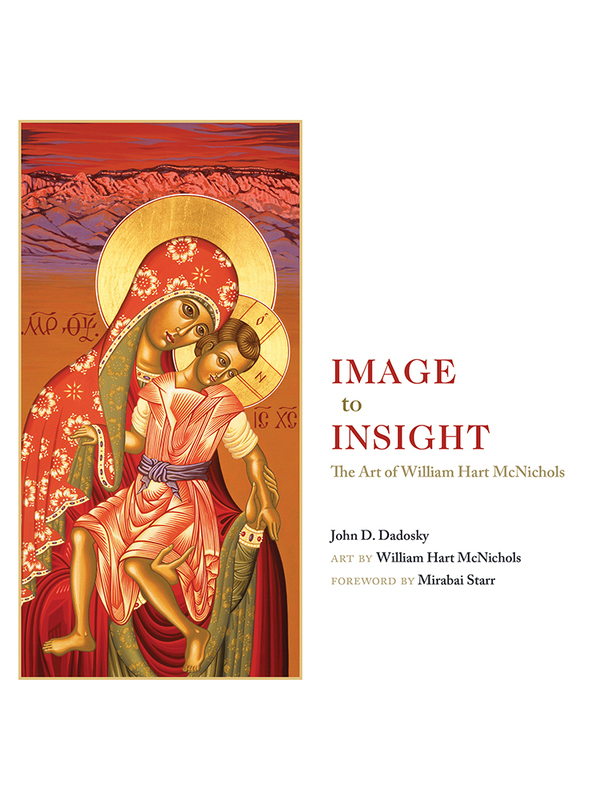 William Hart McNichols, who paints in his studio in New Mexico, is one of the most popular iconographers of this renaissance, and this book comprises a selection of his icons and sacred images. The book presents images of holy women and holy men as well as images of Mary and Jesus. Philosopher and theologian John D. Dadosky introduces each piece and demonstrates how McNichols’s paintings communicate sacred stories as well as mark significant moments in the artist’s personal development. John D. Dadosky is a professor of theology and philosophy at Regis College at the University of Toronto. He is the author of The Structure of Religious Knowing: Encountering the Sacred in Eliade and Lonergan and The Eclipse and Recovery of Beauty: A Lonergan Approach. William Hart McNichols (Father Bill) was ordained as a Roman Catholic priest in Denver, Colorado. His icons are now exhibited around the world, and he is the author of several books of fine-art icons as well as children’s books.